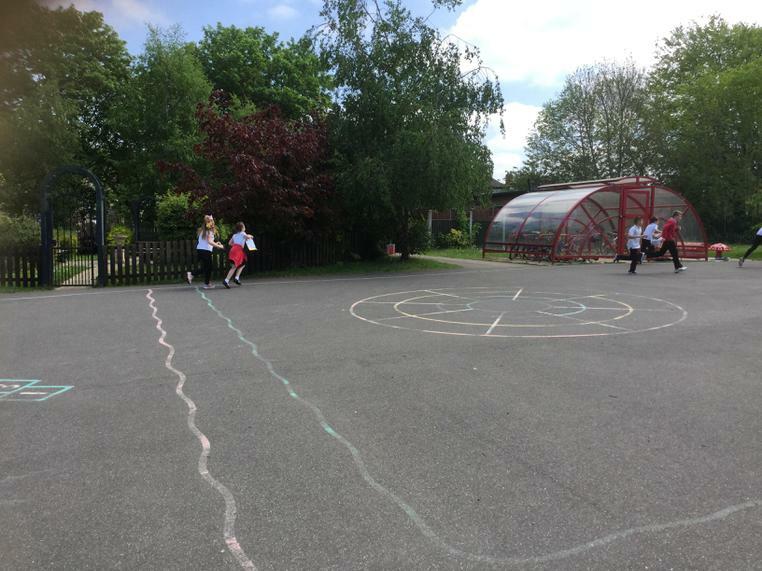 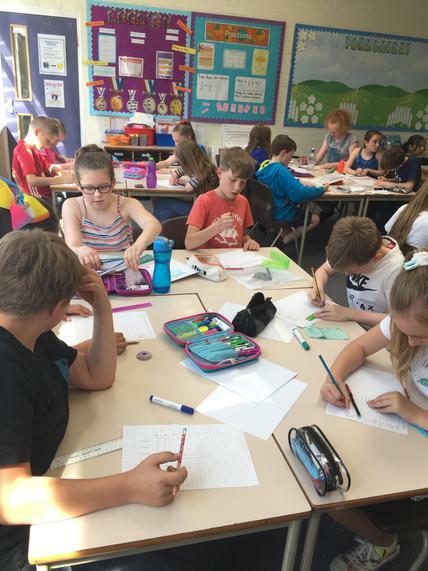 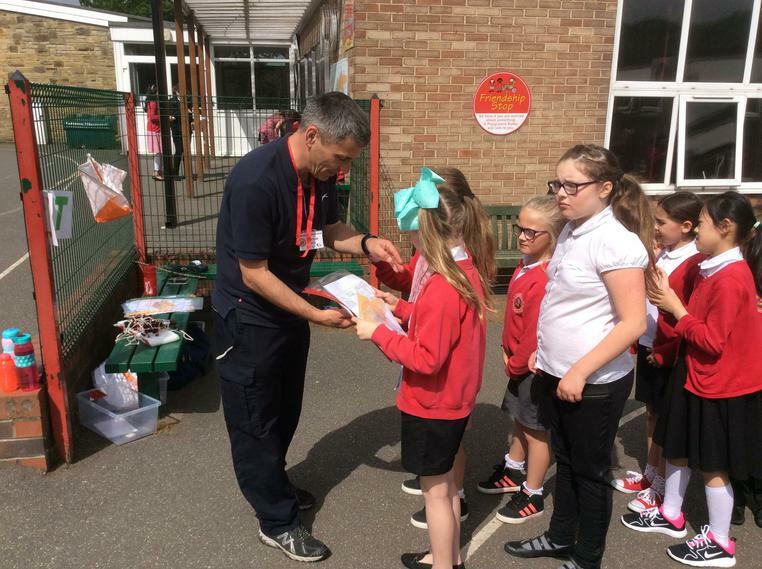 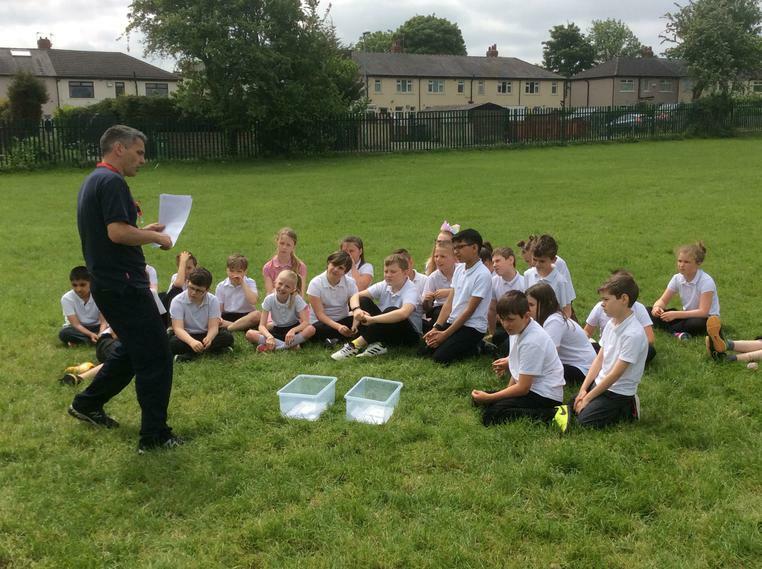 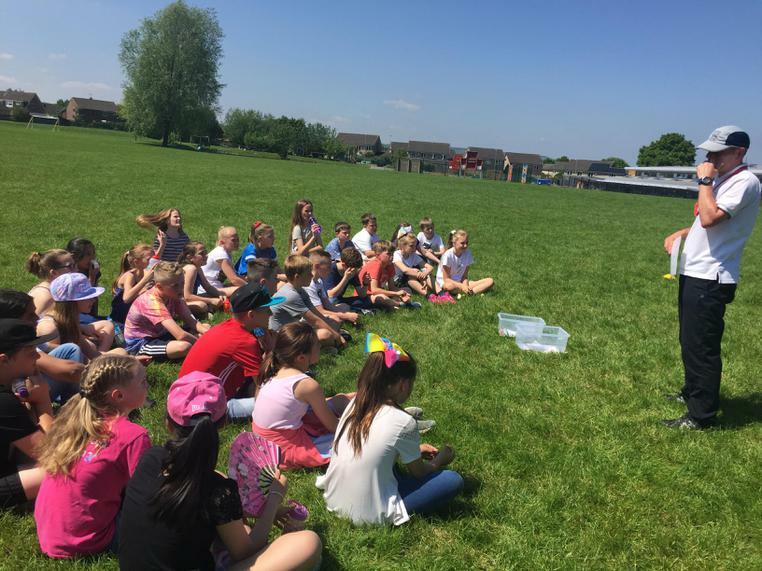 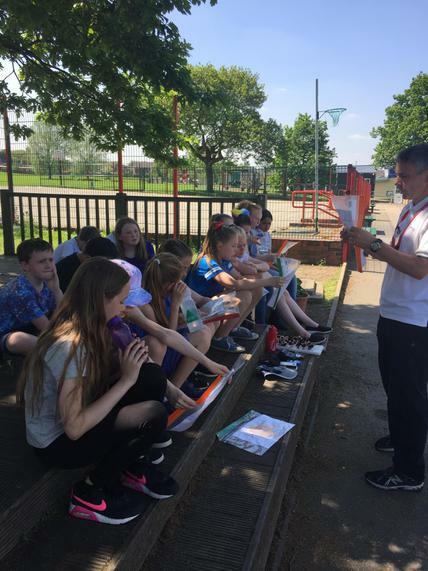 On Thursday 25th May, the whole school took part in an exciting Geography Day! 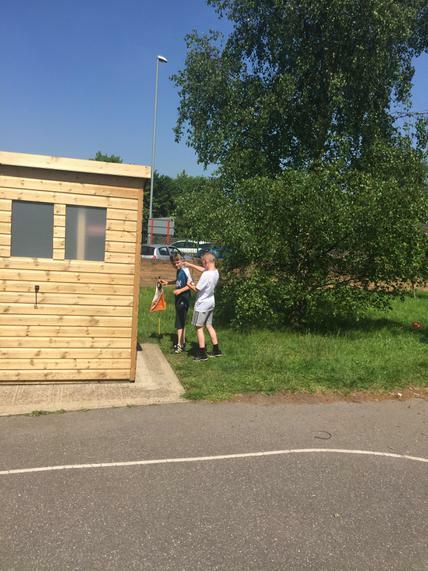 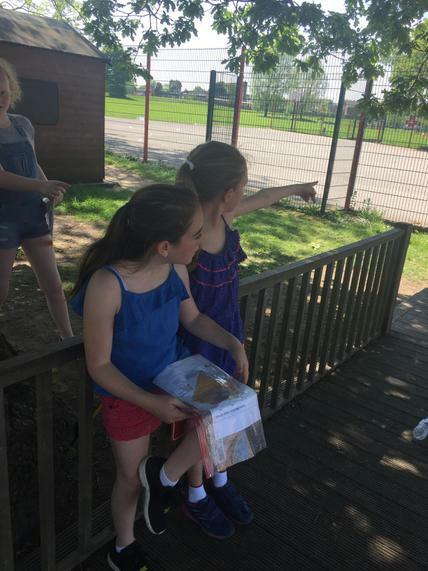 We all carried out a wide range of activities such as orienteering and brushing up on our place knowledge of the world! 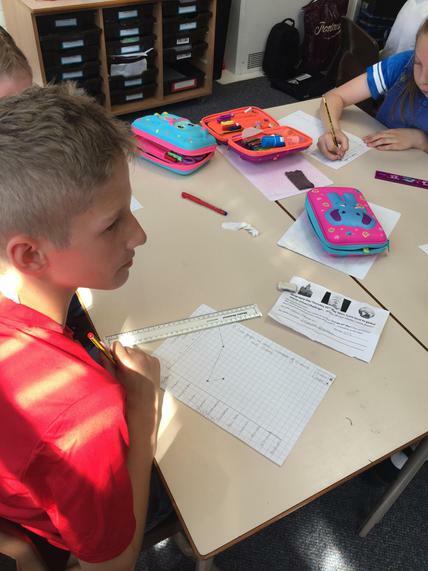 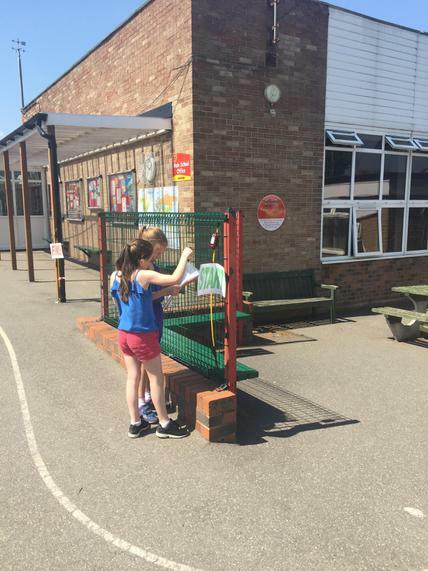 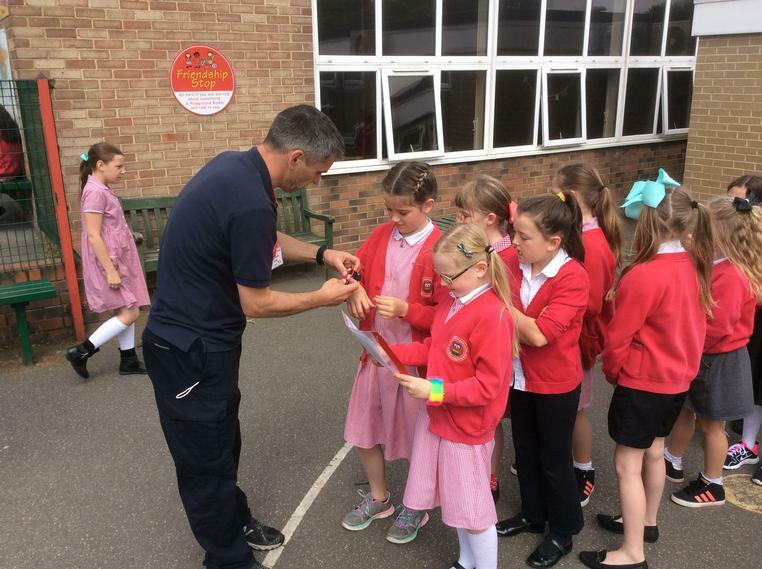 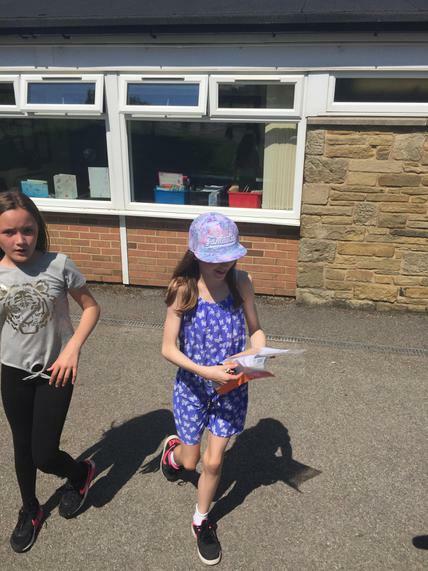 We also all carried out a data collection activity where we came to school in our own clothes and found out from the label where the clothes had been made. 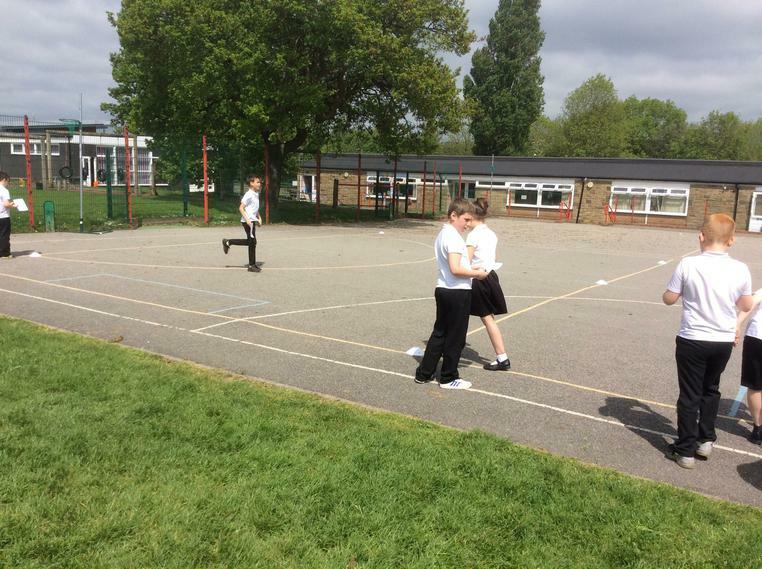 Have a look at the photos below to see what each class did! 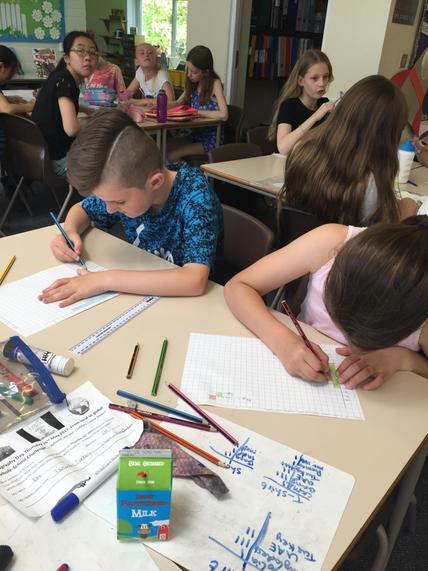 Year 3, looked at Continents and flags of the World and produced tally charts of where our clothes were from. 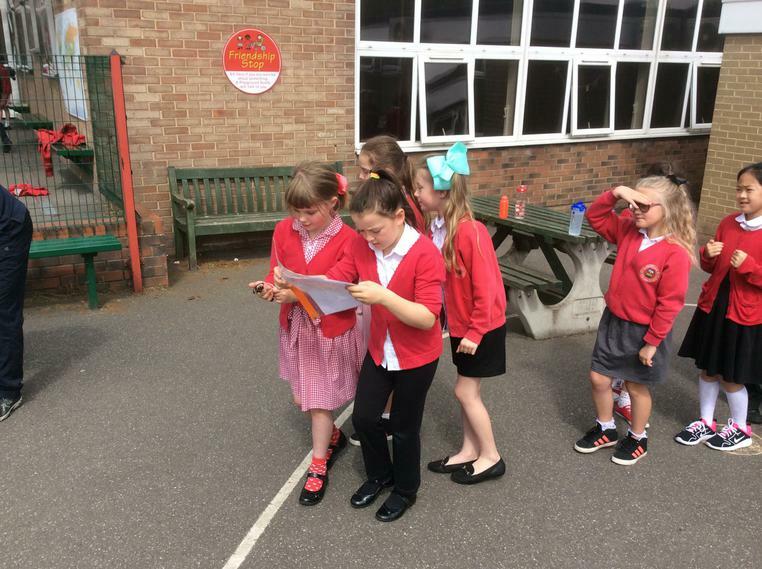 We were surprised with the results. 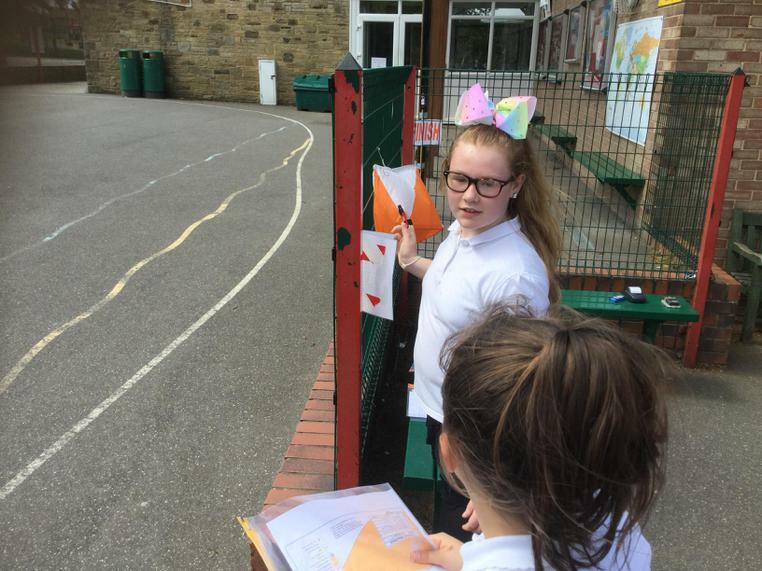 Yasmine year 3 - 'On geography day I enjoyed singing the continent song'. 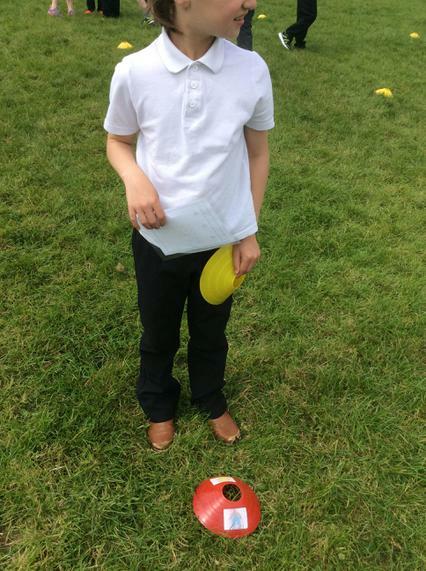 Finlay year 3 - 'On geography day I liked orienteering'. 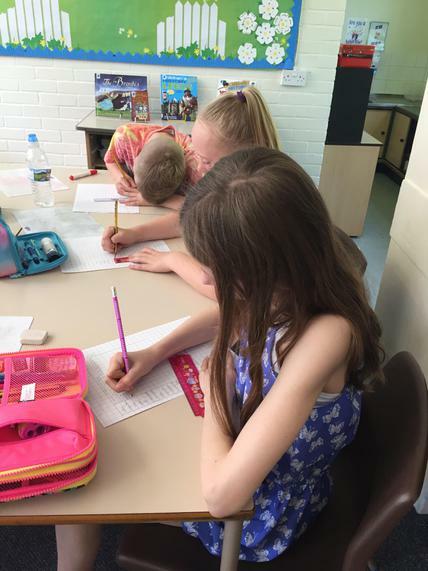 Year 6 looked at a short video from The Literacy Shed about a farmer who planted windmills. 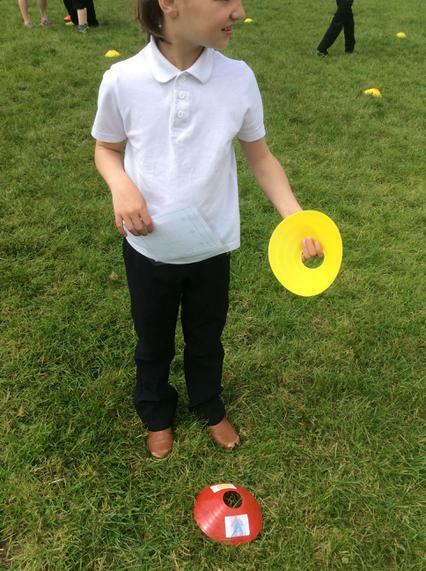 He watered and looked after them but then a storm came and destroyed them! 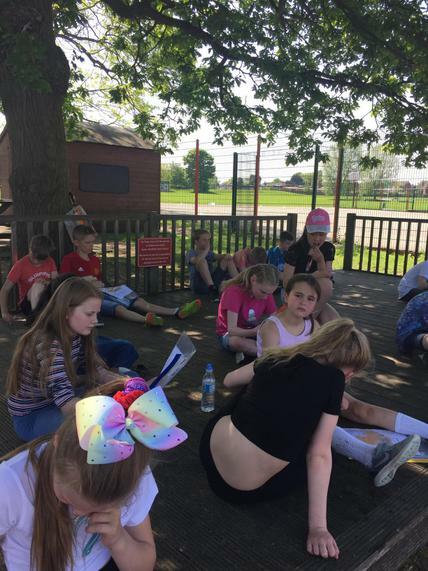 Here is a link to the video we watched and here are some of our stories and diary entries about The Windmill Farmer. 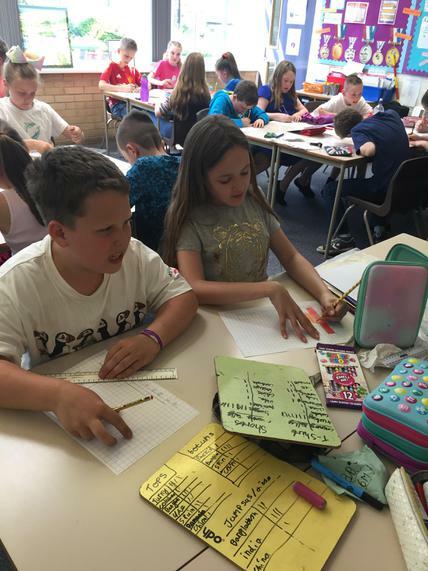 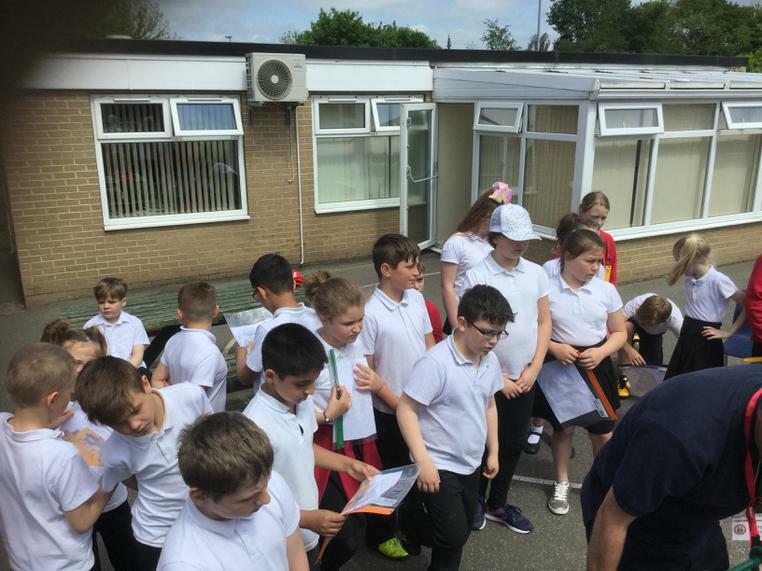 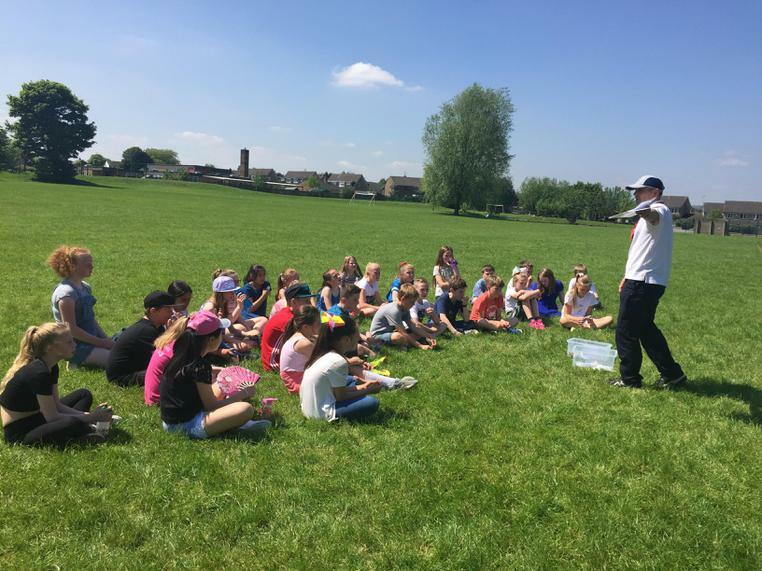 Year 5 - ...geography day was so much fun'. 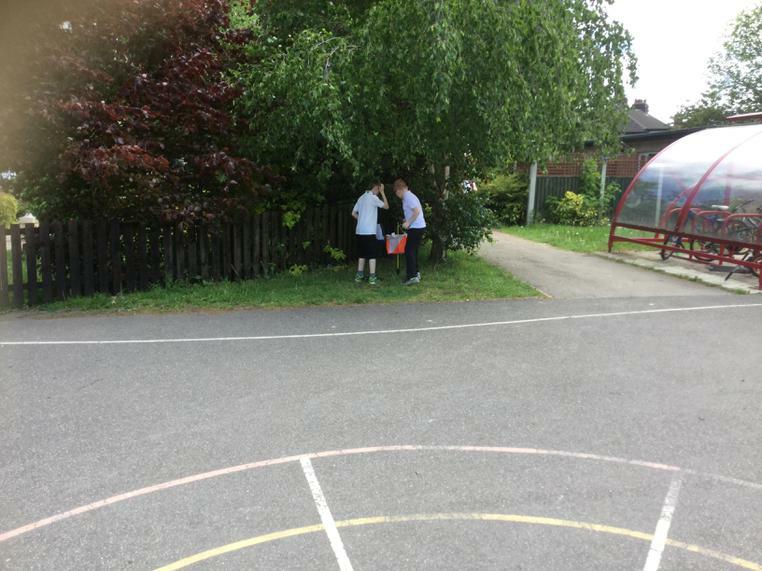 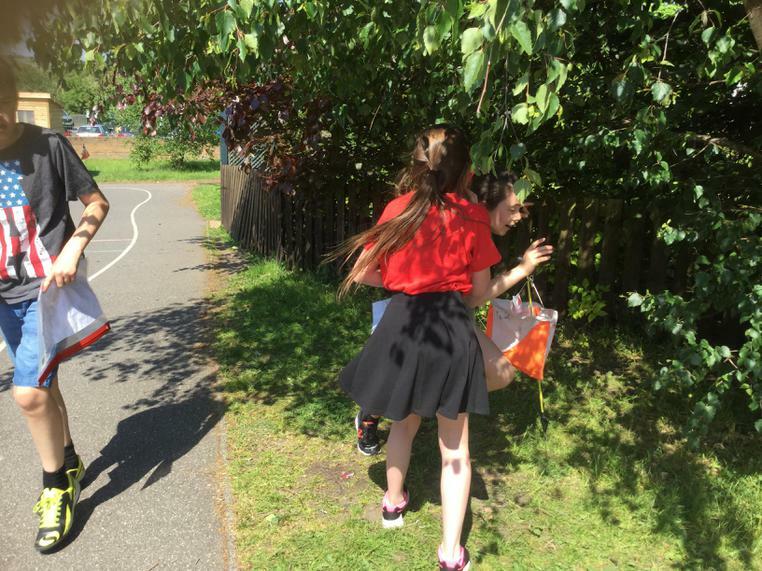 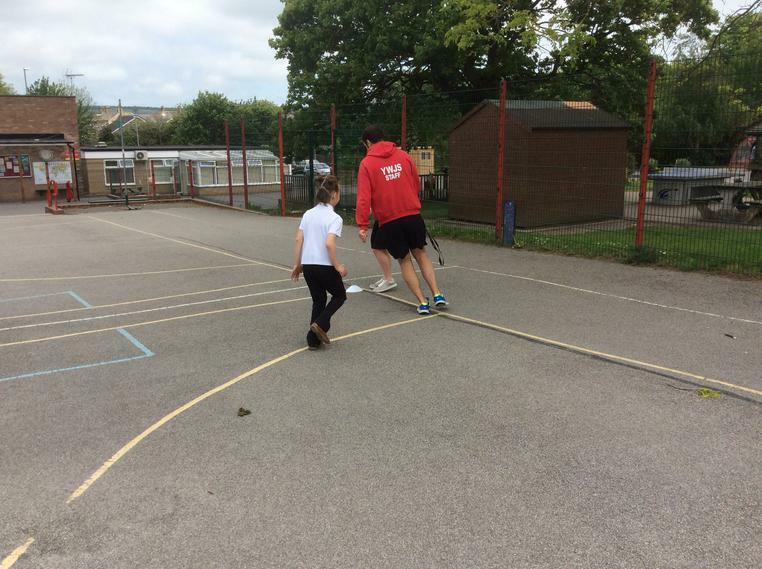 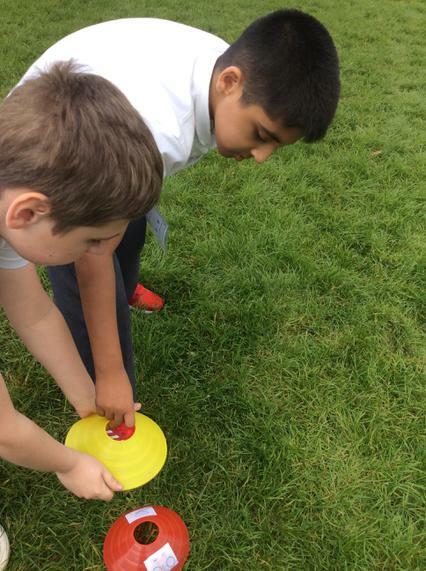 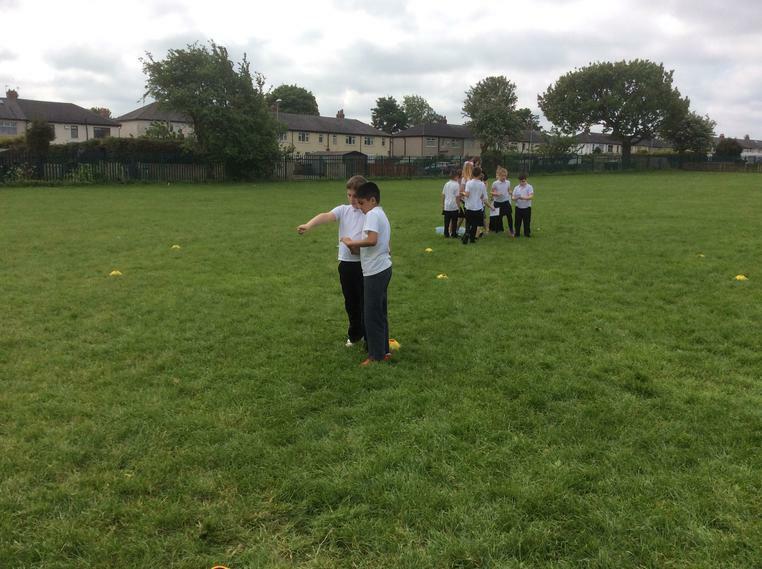 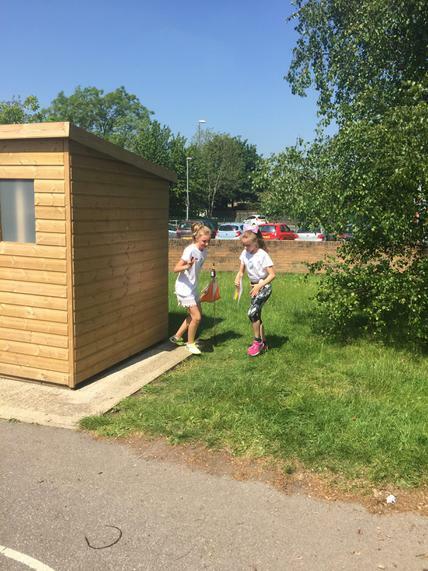 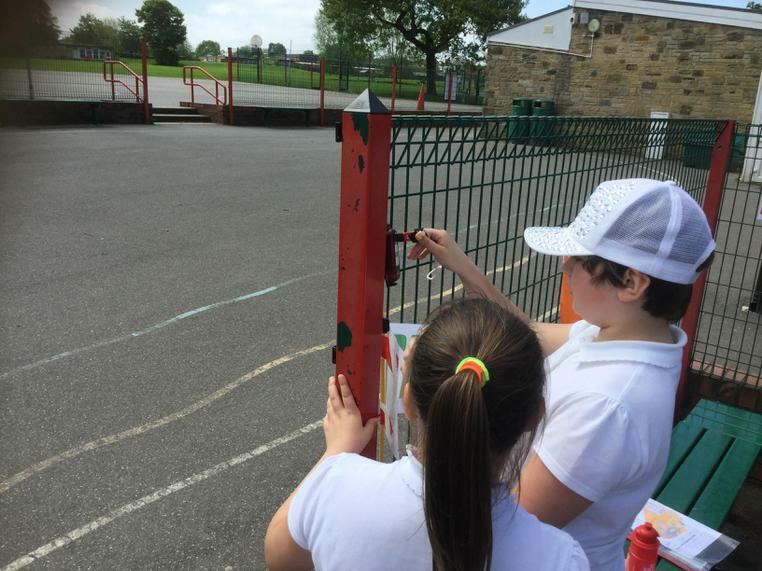 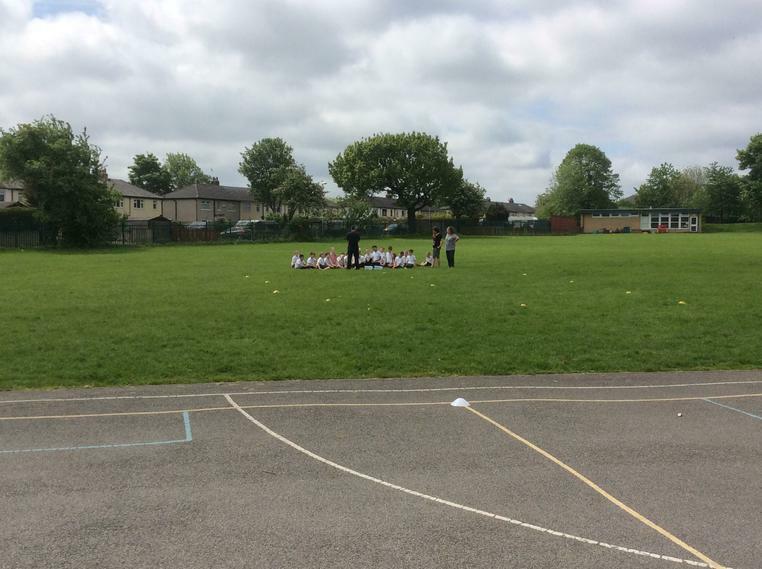 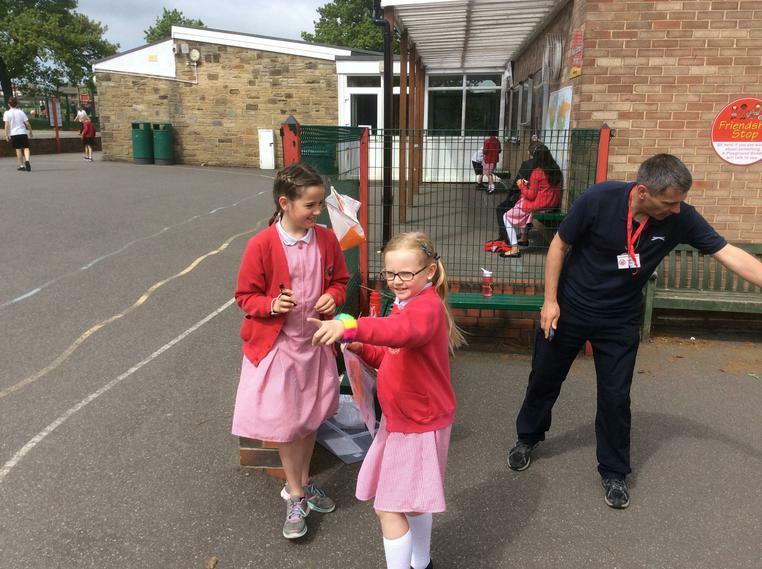 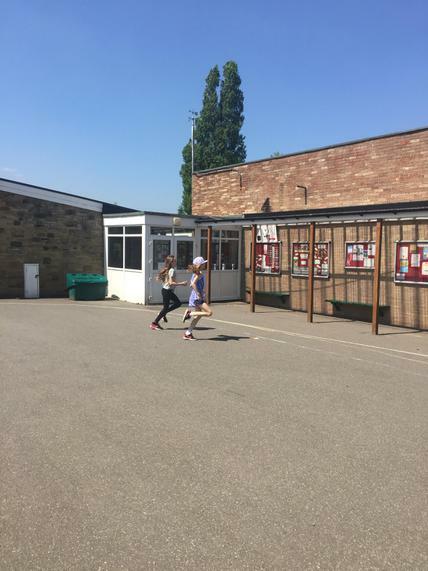 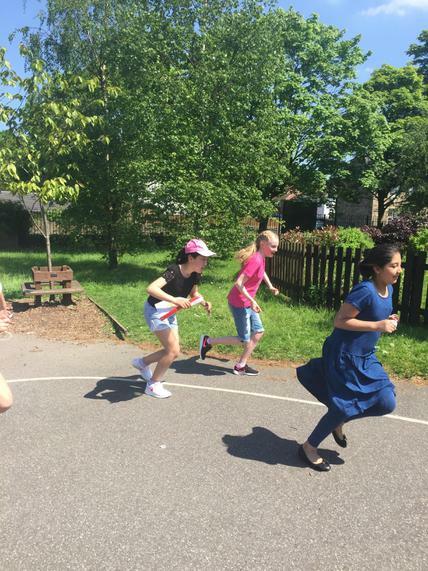 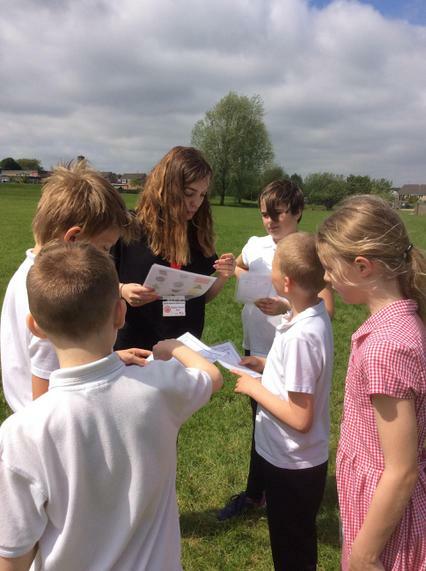 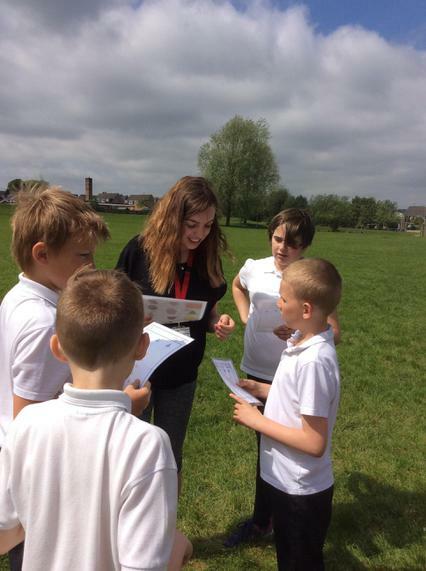 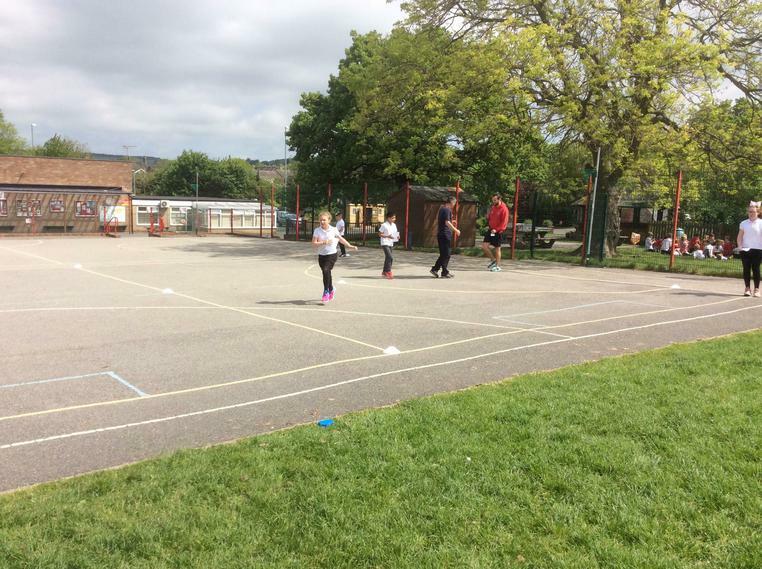 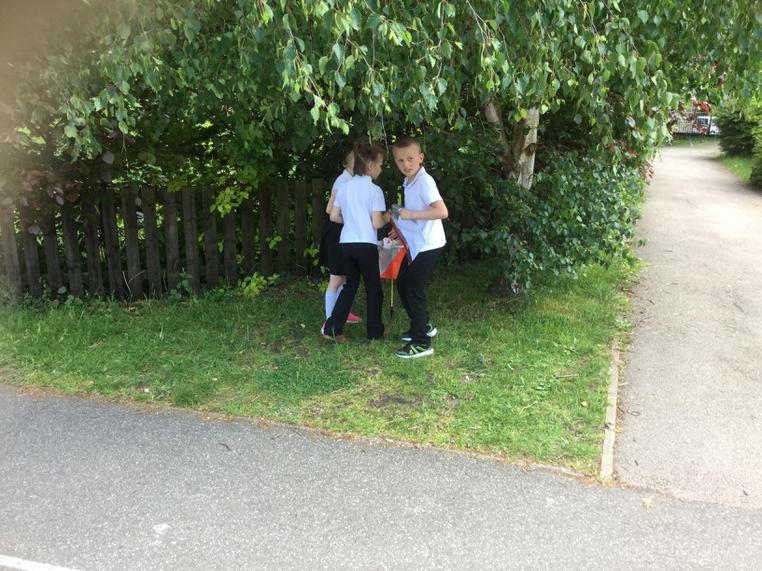 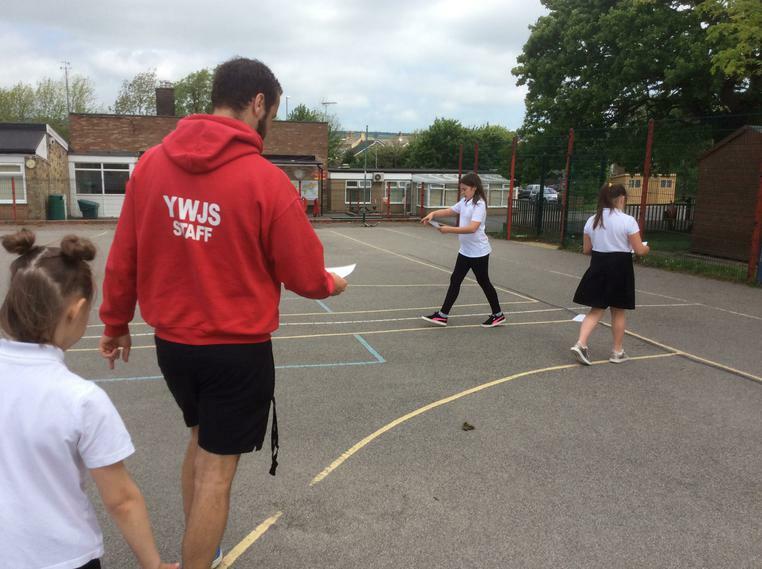 Year 5 - The orienteering was great fun with my friends around school'. 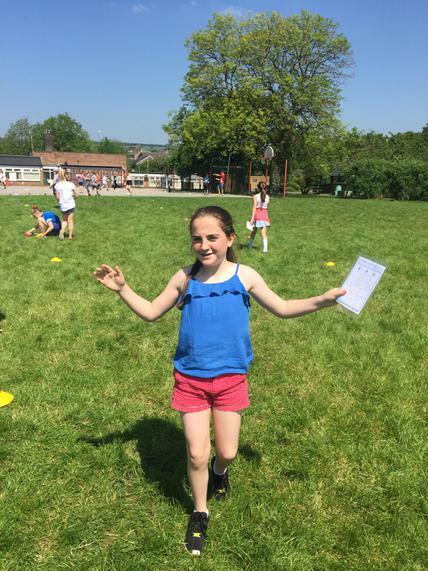 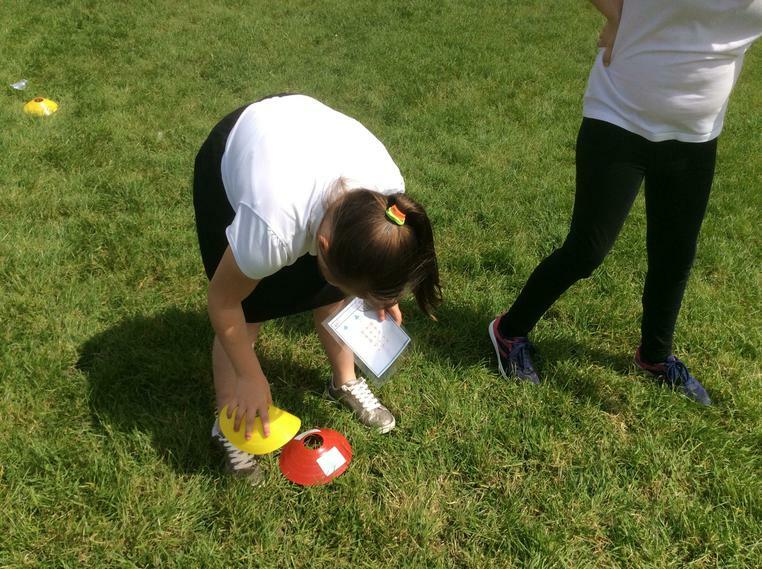 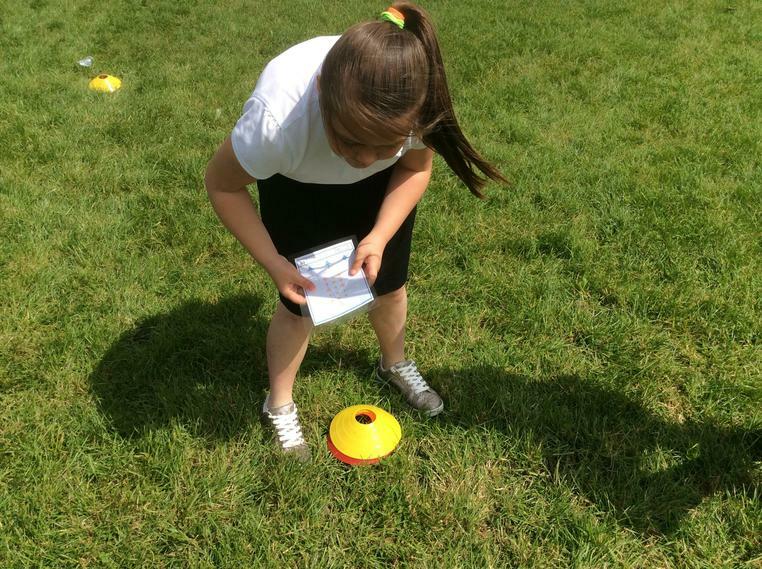 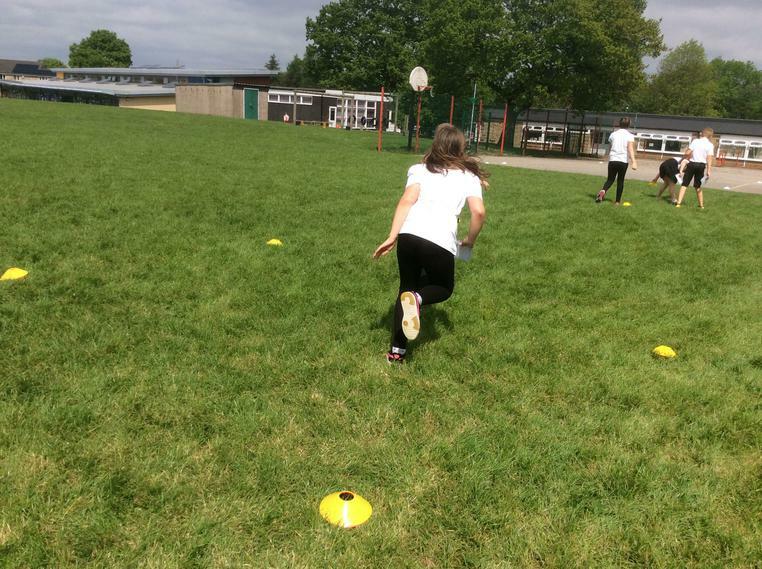 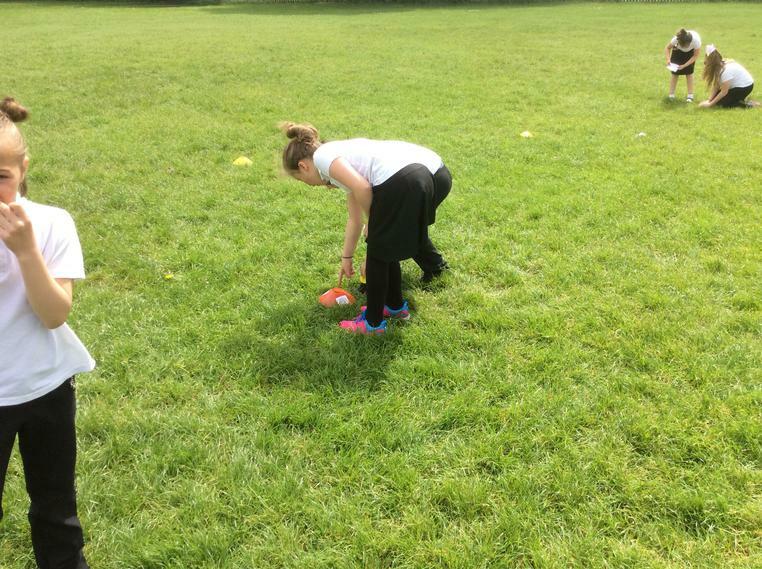 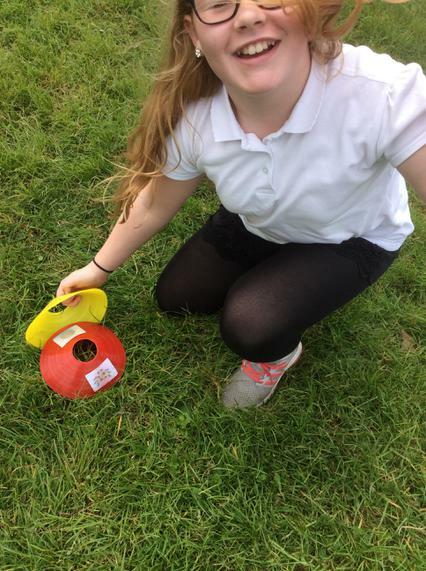 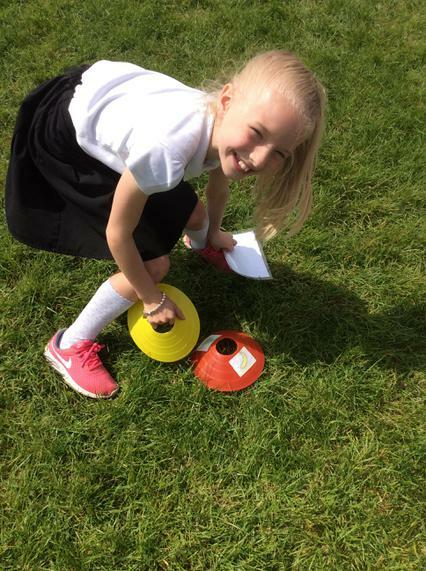 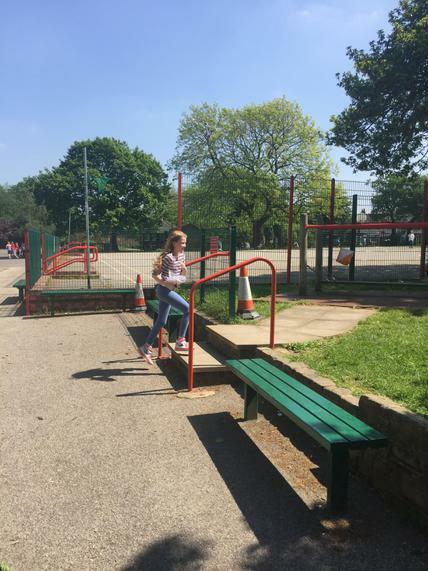 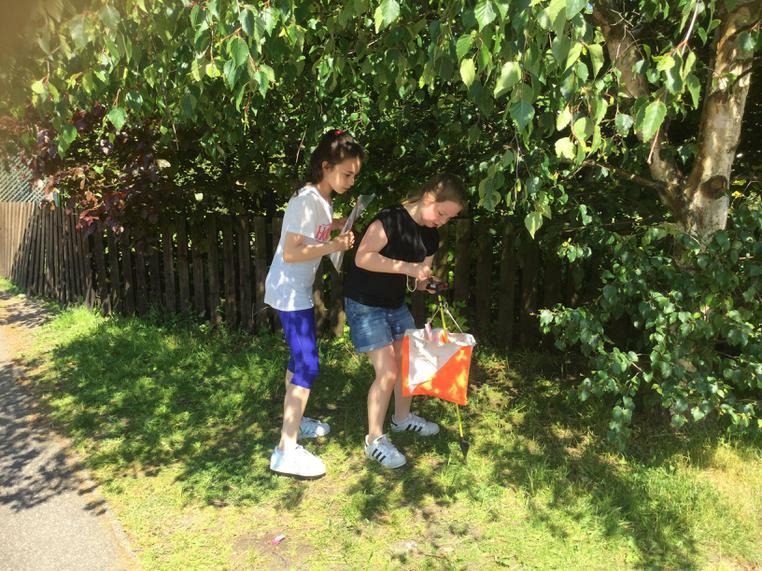 Mia B Year 4 - 'I really enjoyed orienteering because I found it quite challenging finding numbered stands'. 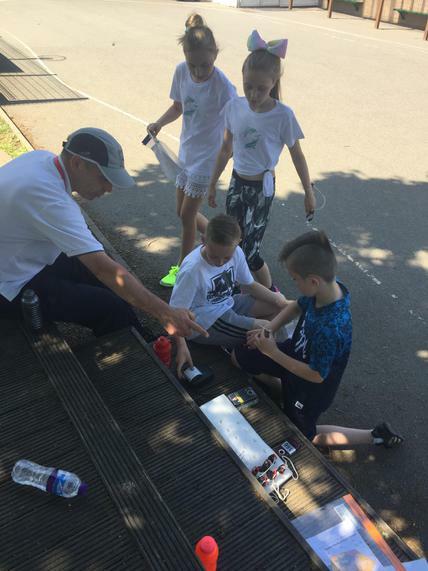 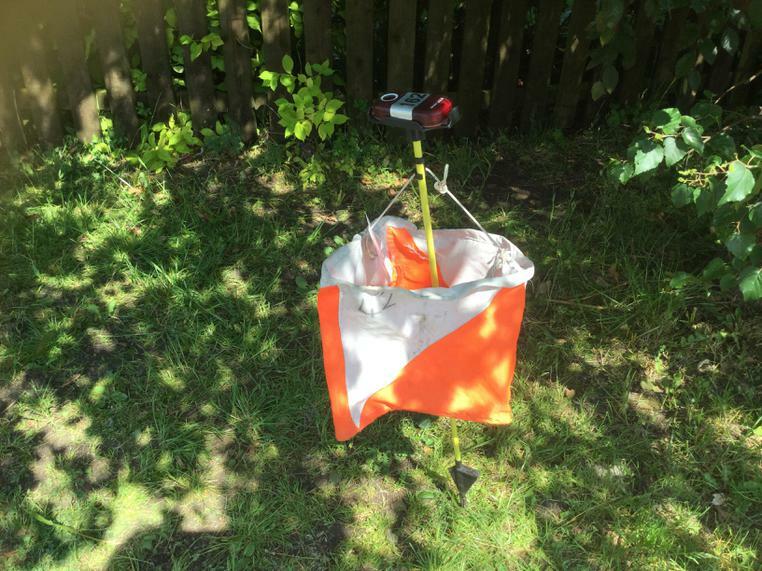 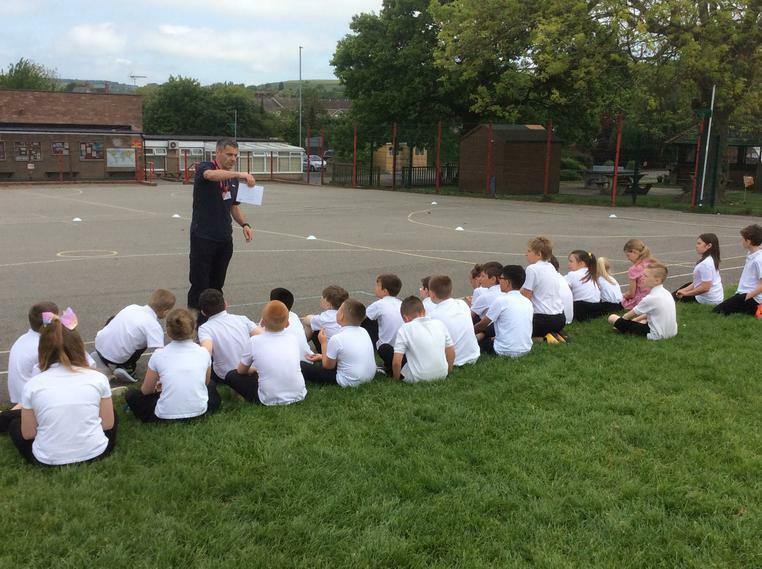 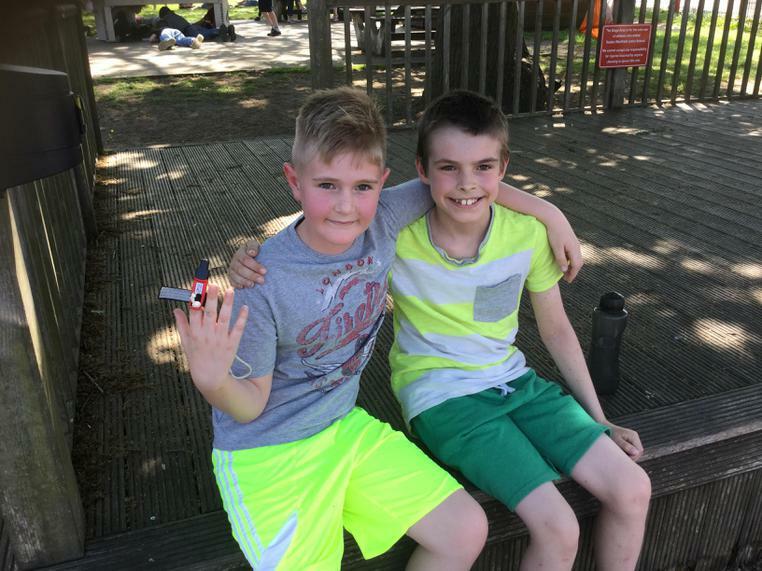 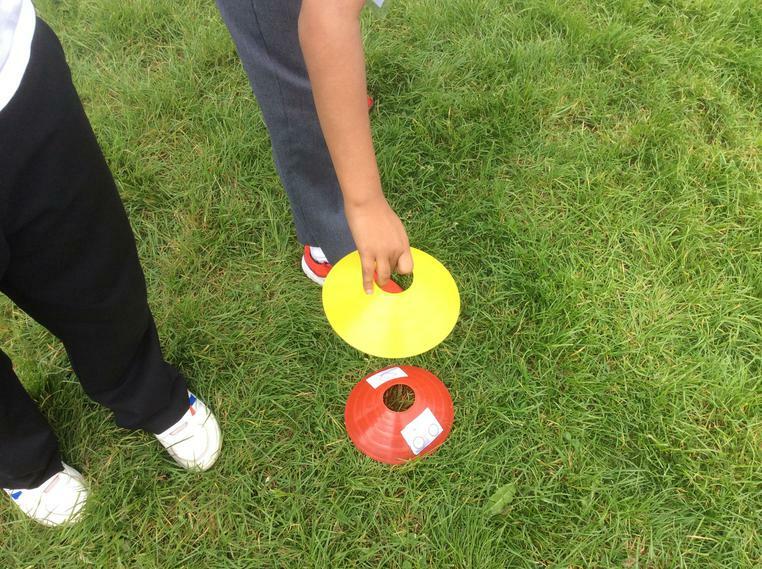 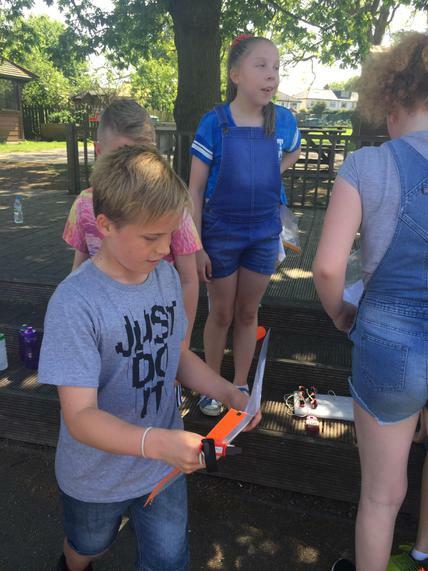 Harrison Year 4 - 'It was an exciting day and the best part of it was when we did orienteering'. 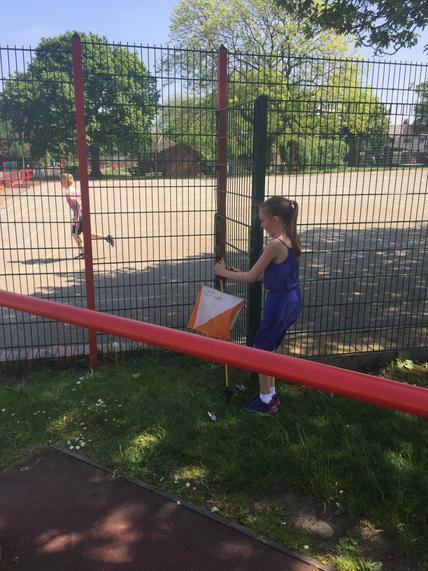 Gracie Year 4 - 'I loved the orienteering'. 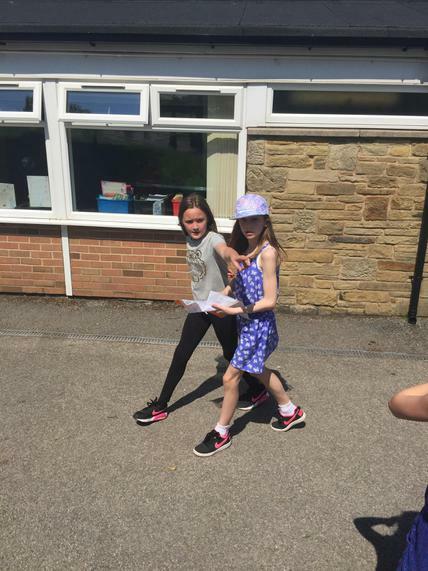 We had a non-uniform day so that we could find out where all of our own clothes are from. 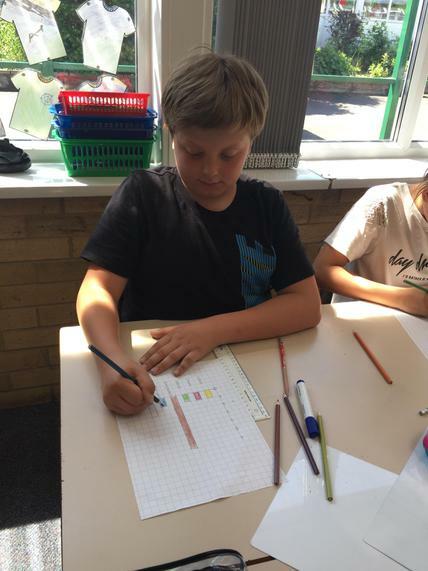 Year 6 collected this information and presented it in bar charts and pictograms. 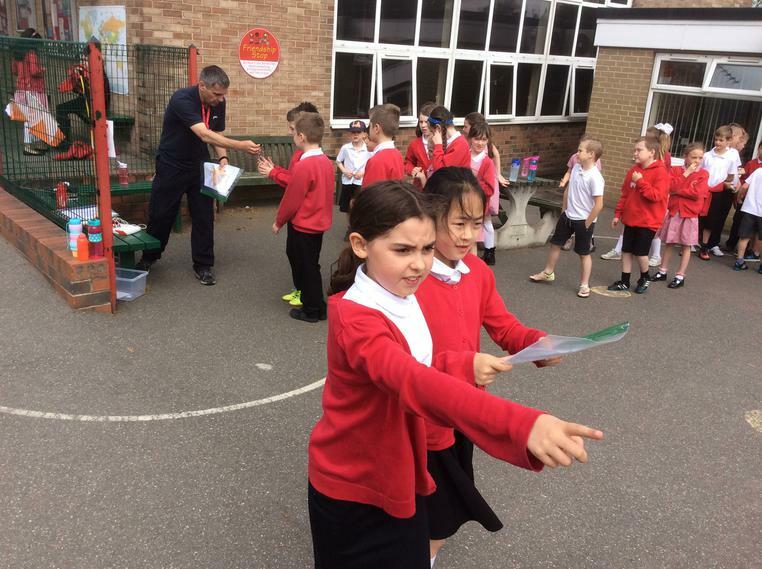 We couldn't believe how many different countries our clothes come from!! 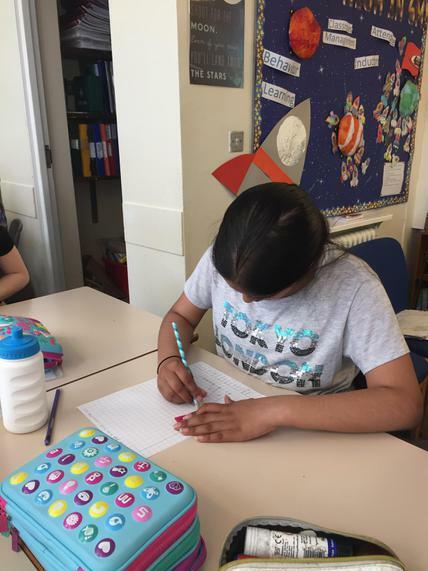 Sam S year 6 - 'I liked how we found out where peoples clothes came from in other countries'. 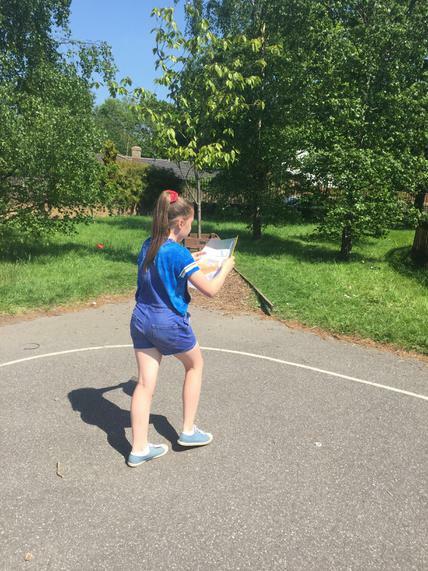 Isabelle year 6 - 'The orienteering was enthralling because i'd never done it before. 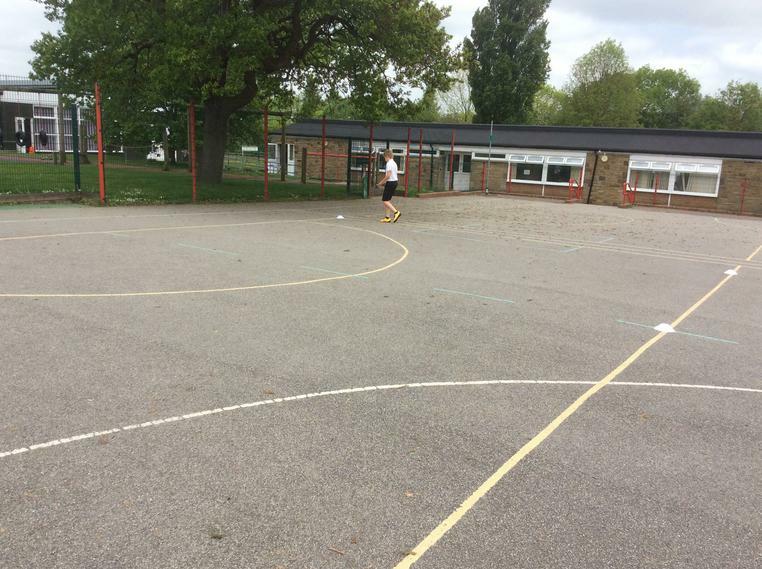 This idea was a great one'. 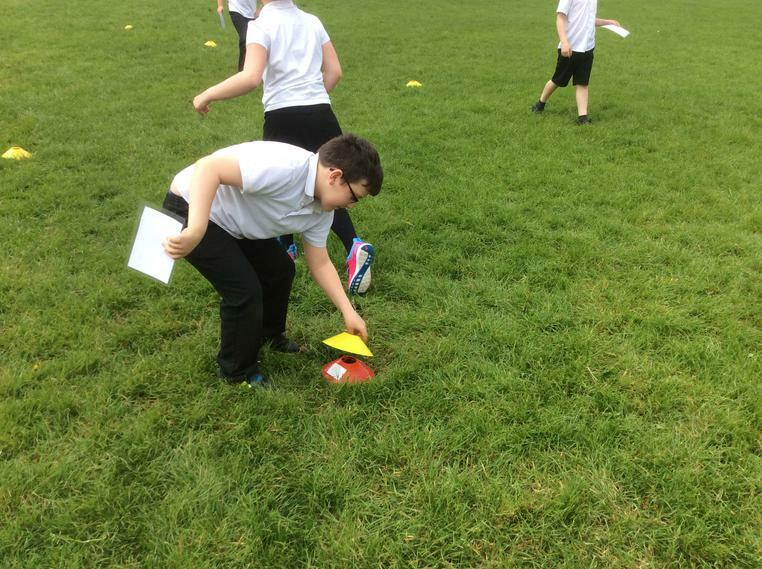 Joe year 6 - 'I really liked the orienteering because it really got me active'. 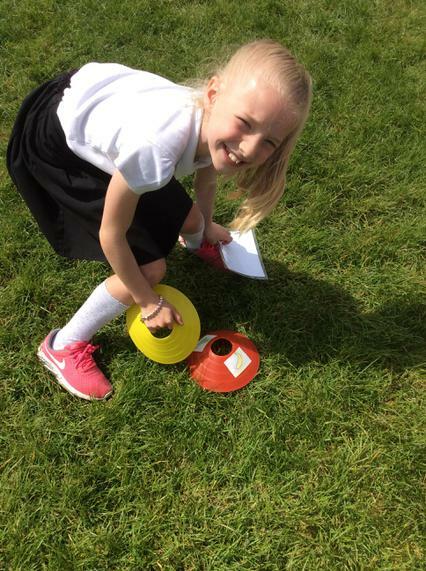 Alice year 6 - 'I liked geography day because i enjoyed orienteering and also creating my own island'. 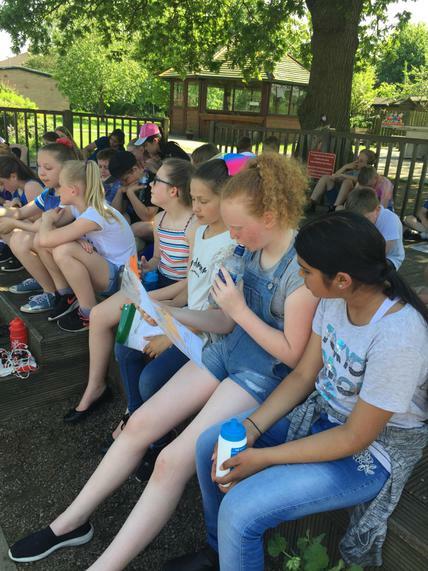 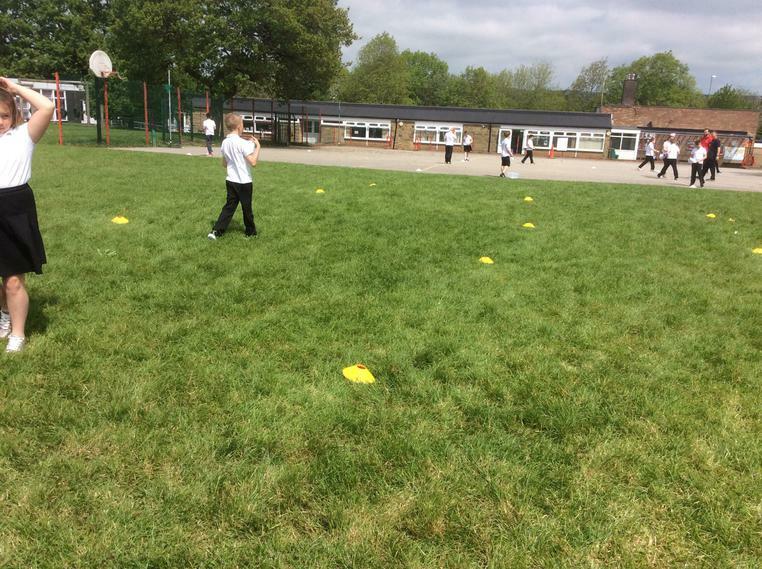 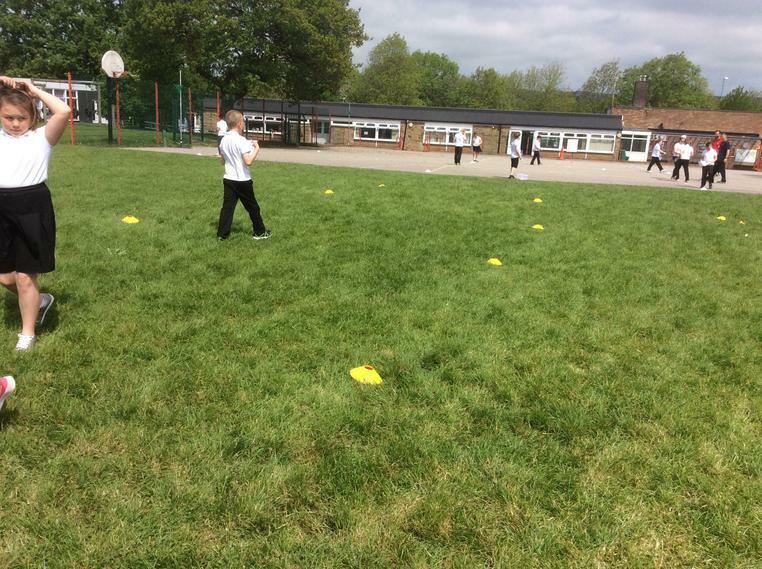 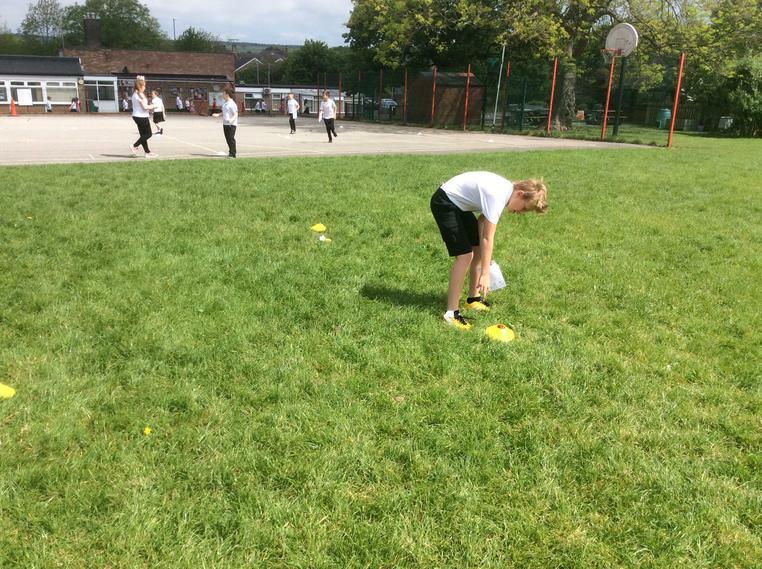 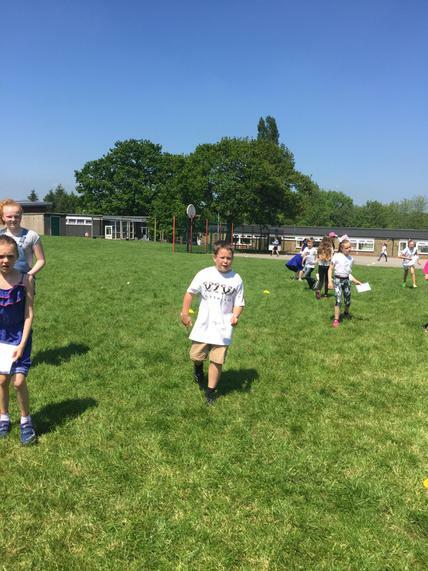 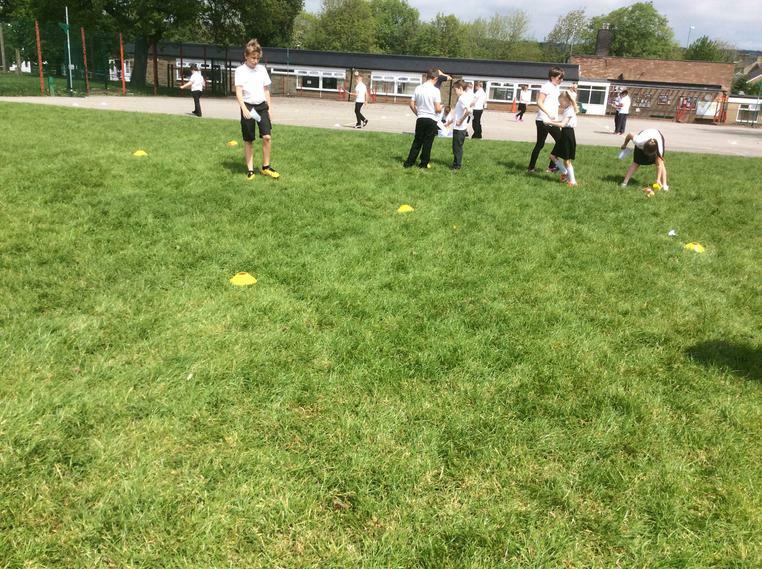 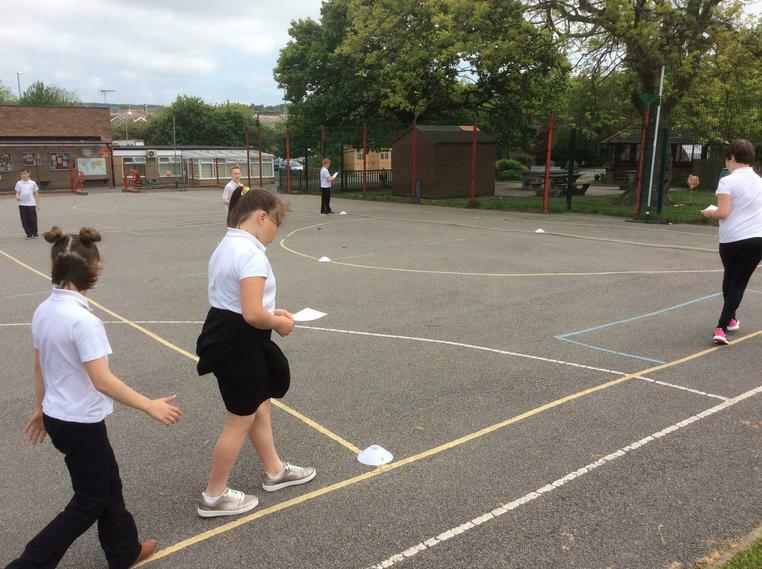 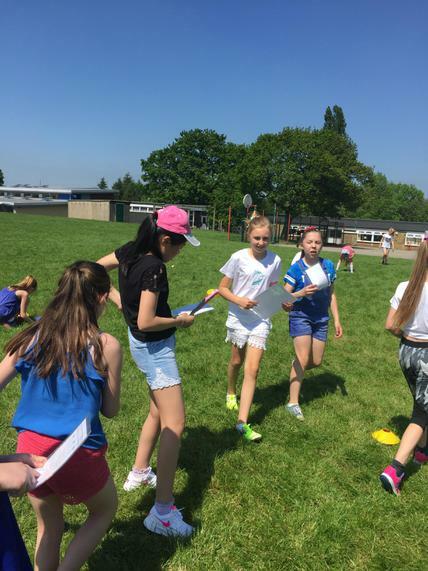 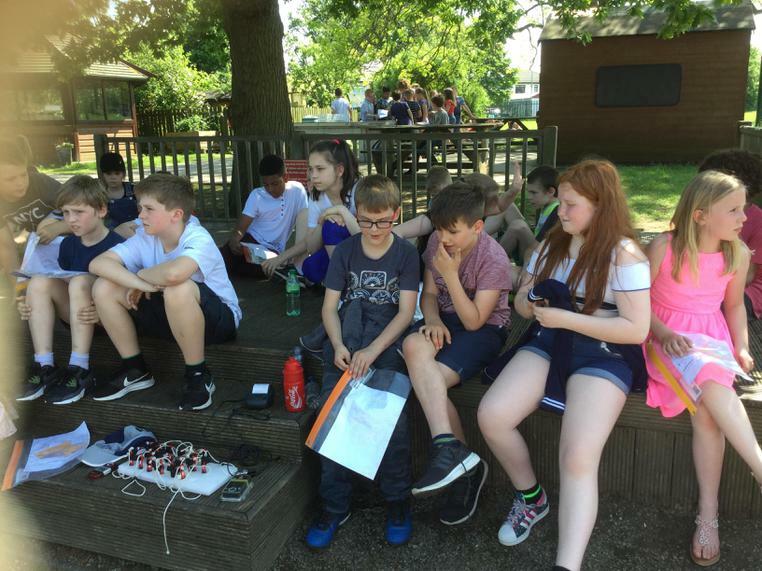 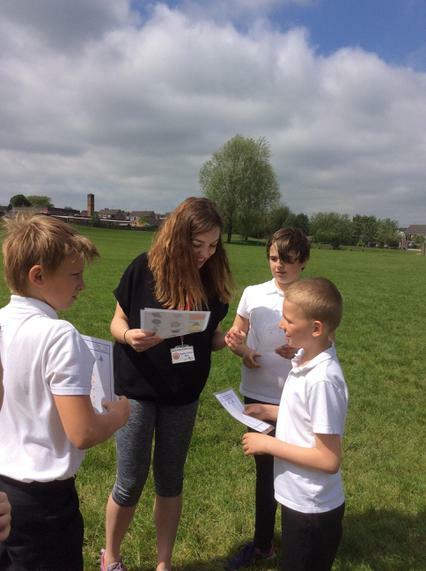 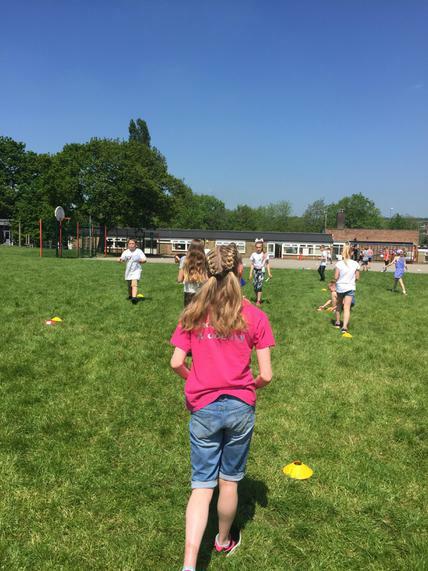 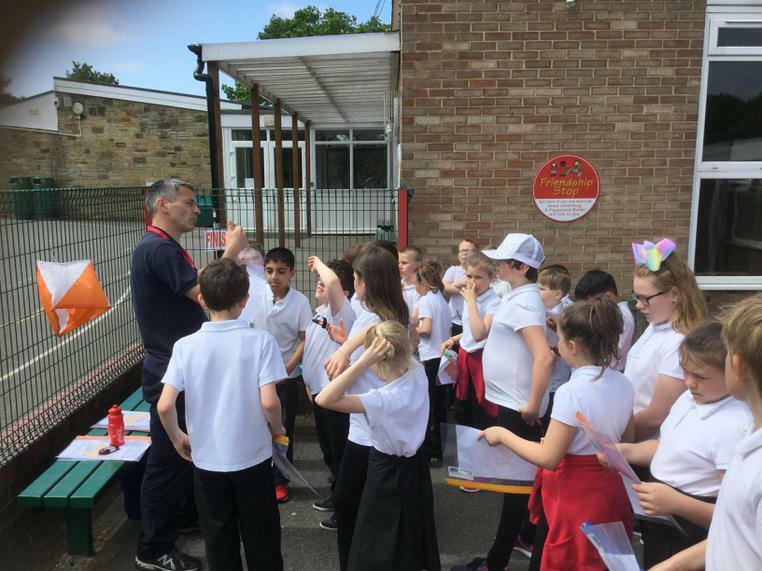 Year 6 enjoying their Orienteering workshop in the sun!